For many children, participating in any kind of sport they desire is a given. If you can buy the sporting equipment you need, you can easily enjoy all different kinds of athletic activities. But for some kids, sporting opportunities are out of reach because they don’t have access to the necessary equipment. Max Levitt and his non-profit Leveling the Playing Field are on a mission to change that. Max believes that every child should have access to sports. “I am passionate about giving children the opportunity to enjoy athletic participation because it was so important for me. 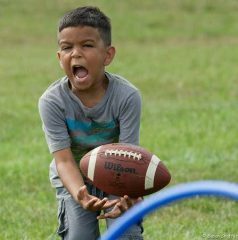 I am committed to providing kids with the athletic equipment they need to experience the joy and benefits of playing sports,” says Max. 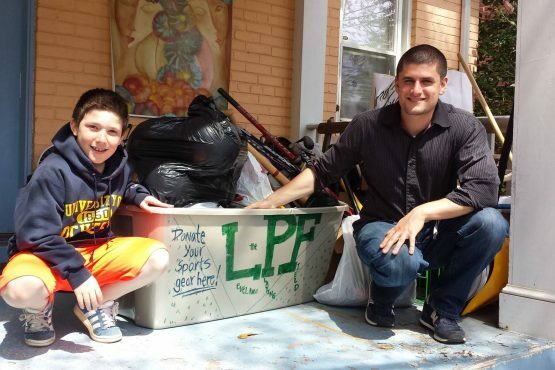 Since its conception in 2011, the initiative has provided 70,000 sporting items — baseball bats, gloves, bags– worth nearly $2 million, to more than 300 leagues and schools in Washington D.C., Virginia and Maryland. If you want to help the organization grow, you can organize your own community or school drive and collect used sporting equipment to donate. If your school or league needs equipment, you can apply for a donation. Or spread the word to schools that may benefit from a donation. becasue,that they could make more people that what to play some sport. Every kid has a desire to play a certain sport. I think it is nice to donate sports items because some people can’t pay for sports items like a baseball bat.